Funding numerous medical operations in underdeveloped countries with generous assistance from U.S. doctors and nurses through other organizations. 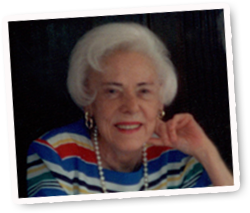 The Quinn Foundation has been making grants since 1985.The incentive for the Foundation’s programs has come mainly from the late Mrs. Doris G. Quinn’s interest in history (1917-1998). As she worked on her Master’s Degree and Ph.D. at NYU in her 60’s, she became aware that many of her fellow students worked several part-time jobs to pay for school and living expenses in order to complete their graduate degrees.Through her generosity, Mrs. Quinn established the Quinn Fellowship Program to help history graduate students complete their Ph.D. degrees. Because of her interest in history and being of Dutch decent, Mrs. Quinn had a life-long interest in the translation of ancient Dutch to English.She supported the translation project through the New Netherland Institute for many years which the Foundation has continued to support.Voluntary medical projects in underdeveloped countries became a later interest of Mrs. Quinn. She felt that the U.S. had exceptional skills in some medical specialties that could benefit others.Thus support for medical projects in underdeveloped countries has continued through the generosity of the Foundation.